I have just come back from a week’s holiday in France, near La Rochelle, but I just had to get baking for Desserts week on Great British Bake-Off! 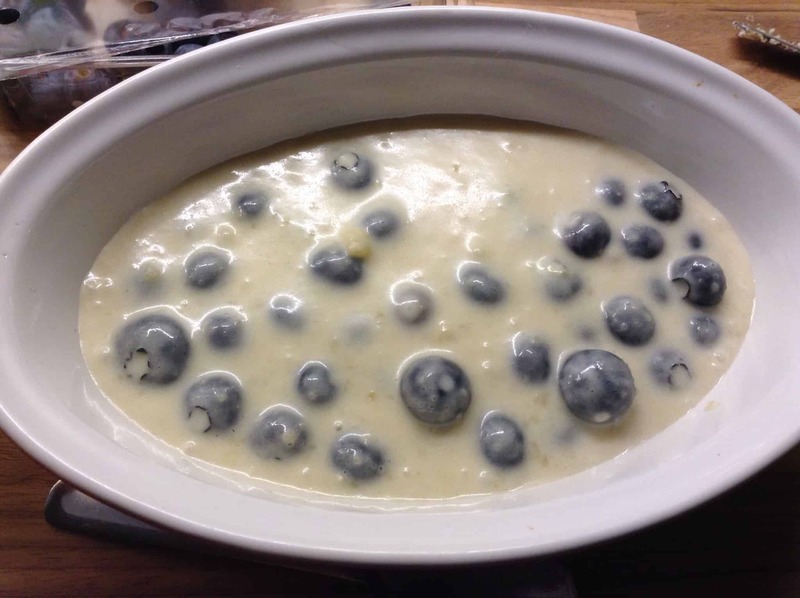 I had some lovely blueberries and thought I’d make one of these self-saucing puddings as I have made them before in my slow cooker with great results. 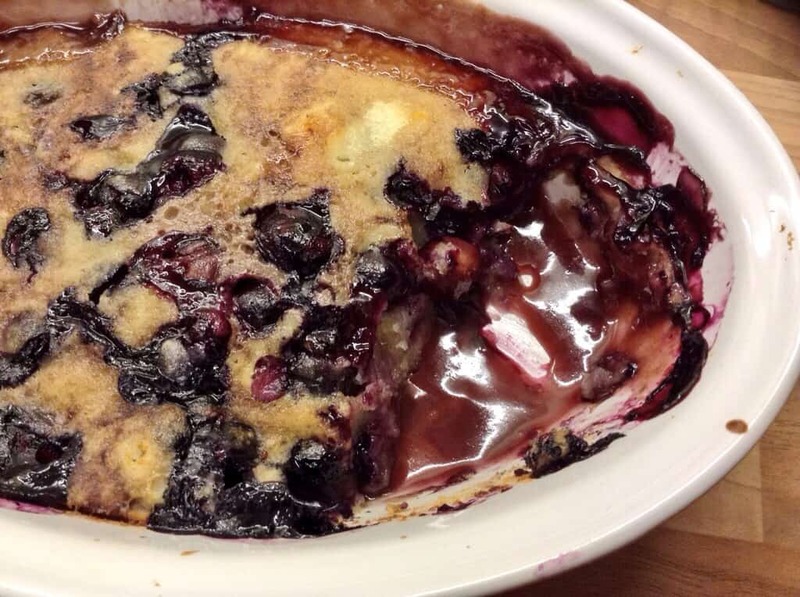 This mini blueberry and lime self-saucing pudding is the result! Unfortunately I didn’t have all the ingredients I needed today (only 60 g of flour and no eggs!) so just threw something together and hoped for the best! Due to this, this is not the prettiest dessert but it sure tastes good. I also used my blueberry and ginger jam that I made recently in this pudding, which adds to the flavour from the fresh blueberries and lime zest. Mix the flour, sugar and baking powder in a bowl. Melt the butter and mix it in. Add the lime zest and then the milk and mix until smooth. Stir in the blueberries. Pour the mixture into a small ceramic dish. Mix the boiling water, jam and sugar together, then pour it over the cake mixture. It will look quite strange but do not fear! As the cake bakes it will come out from underneath the sauce, and the sauce will run to the bottom. Bake at 180 degrees for approximately 30 minutes or until the cake is firm. 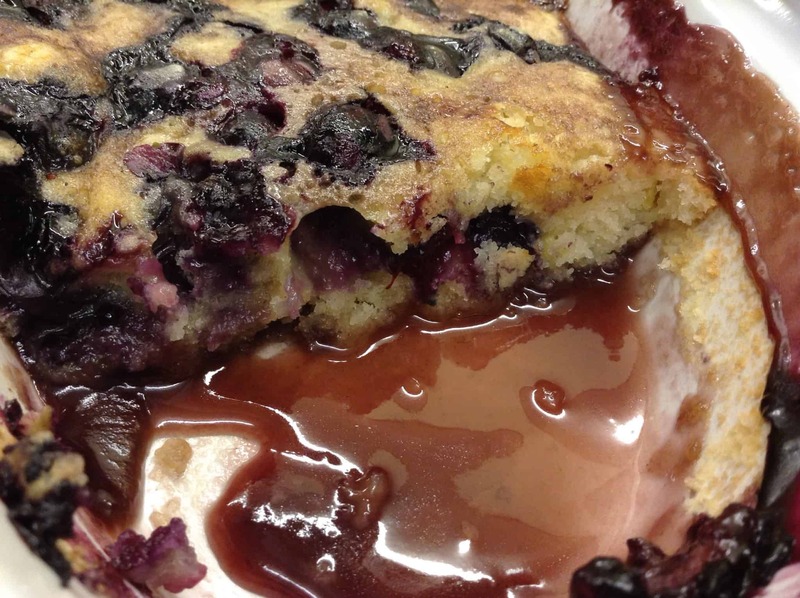 As you take a spoonful, the delicious blueberry sauce comes oozing out. 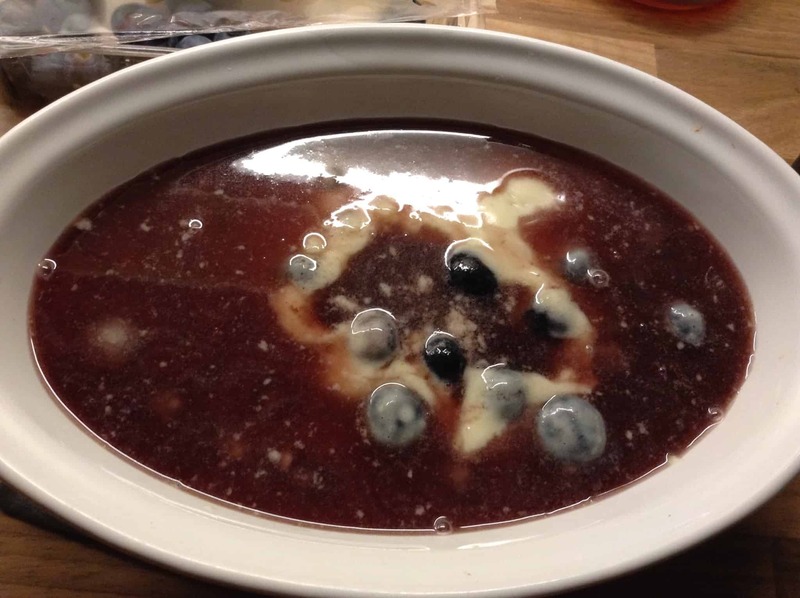 I’m linking my blueberry and lime self-saucing pudding up with the #GreatBloggersBakeoff run by Jenny at Mummy Mishaps, week four is here. I’m also linking up with GBBO Bake Along with Supergoldenbakes. Wow this looks delicious! The blueberry & lime combo sounds tasty. I’ve never made or heard of a self saucing pudding until #GBBO! But I now have to try one! Thanks Hayley! This makes a pretty small one but they are so easy, look up the chocolate orange one on BBC Good Food, it is a marvel!